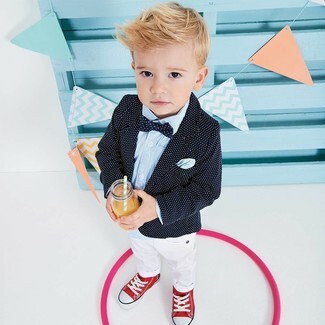 Suggest that your munchkin wear a black polka dot blazer with Ralph Lauren toddlers little boys linen cotton pants and his cute factor will be off the roof. Red sneakers are a savvy choice to complement this style. 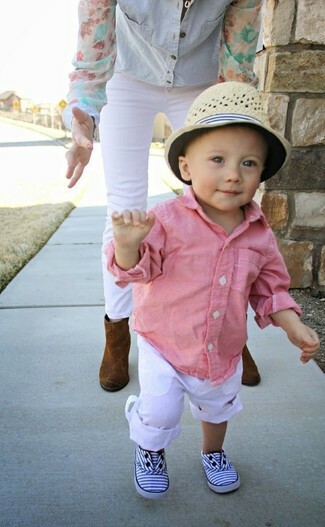 Teach your tot to take pride in his appearance by suggesting that he pair a pink long sleeve shirt with Ralph Lauren toddlers little boys linen cotton pants from Saks Fifth Avenue. 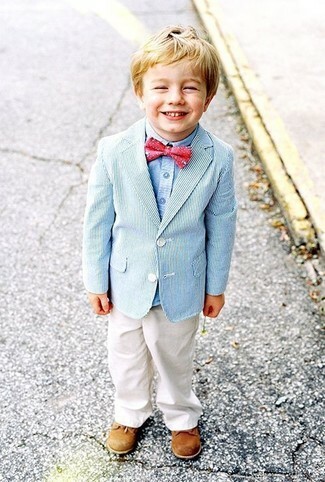 White sneakers are a good choice to complete this getup. 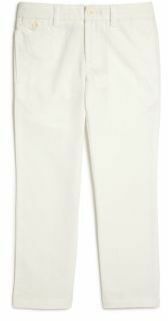 Teach your little angel to take pride in his appearance by suggesting that he team a light blue blazer with white trousers. Tan oxford shoes are a nice choice to finish off this style.